PT Permata Karya Jasa - PERKASA or known as PGN Perkasa is a reputable oil and gas services company in Indonesia. PGN Perkasa was formed as as a solution in oil and gas supporting service providers in Indonesia. Its business include oil and gass supporting services, office supporting services, engineering contractor services, event and management consulting services, travel management services and chiller provider services. PGN Perkasa is based in Jakarta and its head office is registered at PGN Office Complex Building A, 4th floor Jl KH Zainul Arifin No 20 Jakarta 11140 Indonesia. 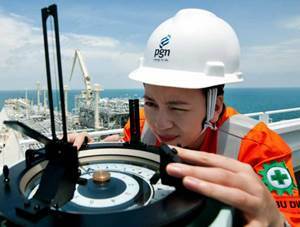 PT Permata Karya Jasa is an affiliate company of state-owned gas PT Perusahaan Gas Negara Tbk (PGN Group). According to information found in PT Perusahaan Gas Negara Tbk Annual Report 2018 as cited by JobsCDC.com, PGN Group holds 75% shares in PGN Perkasa through its subsidiary PT Permata Graha Nusantara (PERMATA). Other 25% remaining shares in PGN Permata was owned by Yayasan Kesejahteraan Pegawai PGN. Age 25 to 35 years old. D3 Telecommunication Engineering, Informatics Engineering, Marketing Management. S1 Information System, Telecommunication and Informatics Business Management, International ICT Business. Have experience in the field of sales. Have good understanding in the field of ICT business. Female, maximum age of 30 years old. S1 Information System, Informatics Engineering, Telecommunication and Informatics Business Management, International ICT Business. Have good understanding in the field of ICT provider business. JobsCDC.com now available on android device. Download now on Google Play here. Please be aware of recruitment fraud. The entire stage of this selection process is free of charge. PT Permata Karya Jasa - D3, S1 Account Executive PGN Group April 2019 will never ask for fees or upfront payments for any purposes during the recruitment process such as transportation and accommodation.